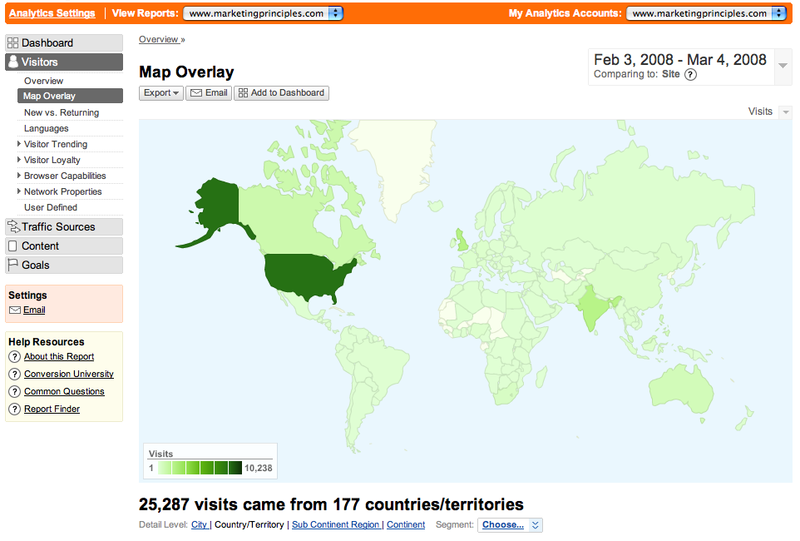 This Google Analytics Map screenshot shows how one of my sites has received 25,287 visits from 177 countries and territories from February 3 through March 4 2008. The Google Analytics Map Overlay feature is one of many ways Google Analytics helps web site owners visualize and analyize web site performance. This entry was posted on March 5, 2008 at 9:51 am and is filed under Google Analytics Map. You can follow any responses to this entry through the RSS 2.0 feed. You can leave a response, or trackback from your own site.